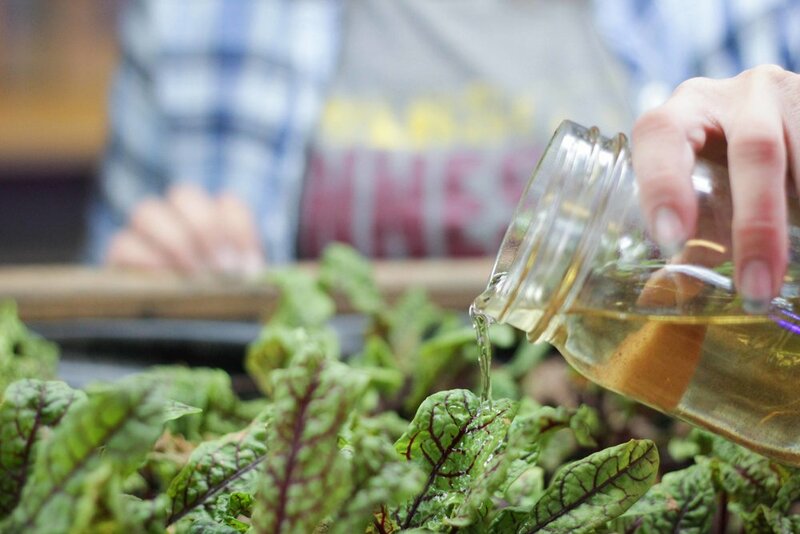 Spark-Y’s Urban Agriculture Lab (UAL), offers a blooming paradise in a cold Minnesota winter! 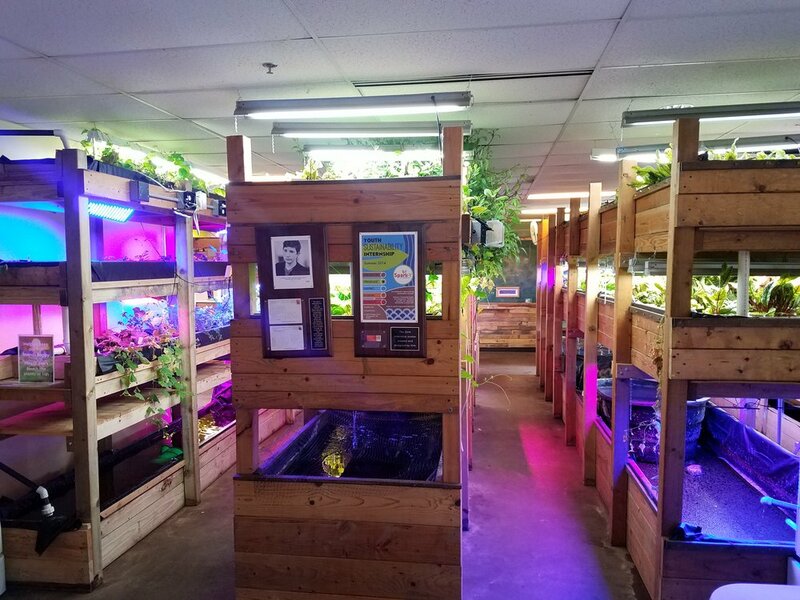 Youth operate our aquaponic production facility, raising microgreens for sale through the Gentleman Forager, facilitating regular tours, and organizing events such as our spring plant sale. Since the beginning of 2018 alone, more than 180 students and over 20 community members have toured Spark-Y’s UAL. Read on to learn more about the UAL, and the activities that our awesome interns, volunteers, youth apprentices, and citizen scientists are participating in. 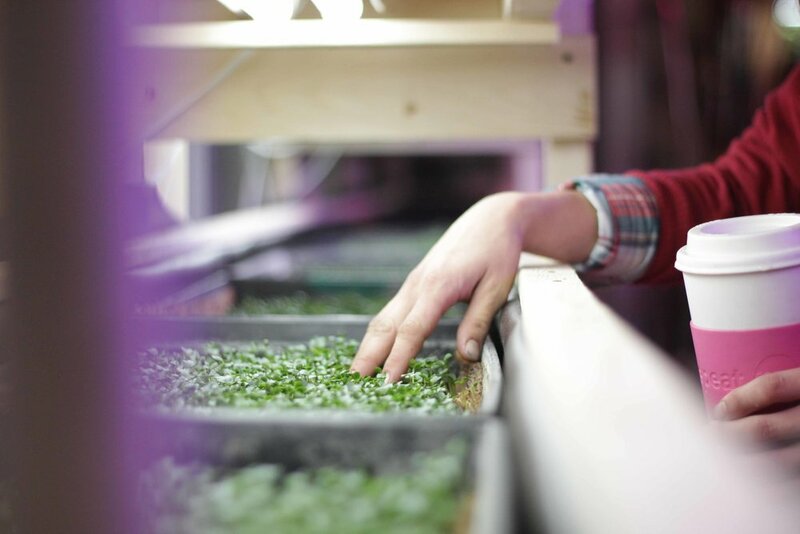 Spark-Y’s fresh, local, youth-grown microgreens are being used in restaurants across the Twin Cities, through our partnership with the Gentleman Forager. 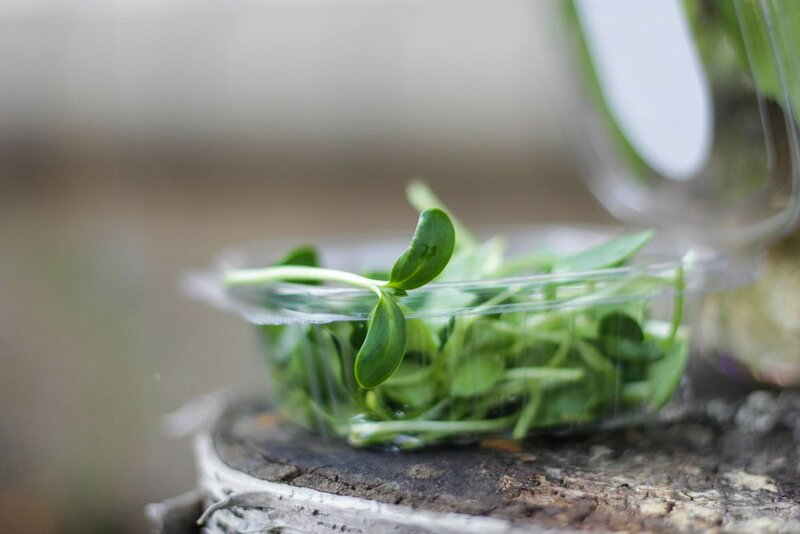 These microgreens will also soon be offered for sale at the Gentleman Forager stand in the new Keg and Case marketplace opening spring, 2018. 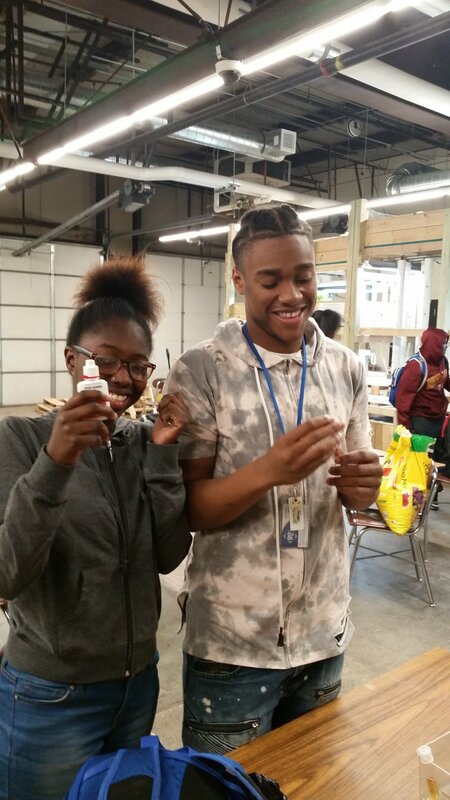 Revenue earned through this partnership allows youth in Spark-Y’s school programs to be employed in the UAL, where they can apply the skills and knowledge learned in their school program to a real-world setting. Kelly, our first youth apprentice, was a student at Roosevelt High School. He participated in the Roosevelt Urban Farm Squad for two years, and in Spark-Y’s summer internship for two years. He was hired on as staff in August, 2017, and is now helping produce microgreens for the Gentleman Forager partnership. Baby Blue Tilapia were bred as a special project by our intern Nicholas Jacob. They were born on November 3rd, 2017. These fry will reach a mature size within about nine months. Tilapia are the ideal species to raise with students in our school programs for their hearty nature, and ability to reach maturity quickly. 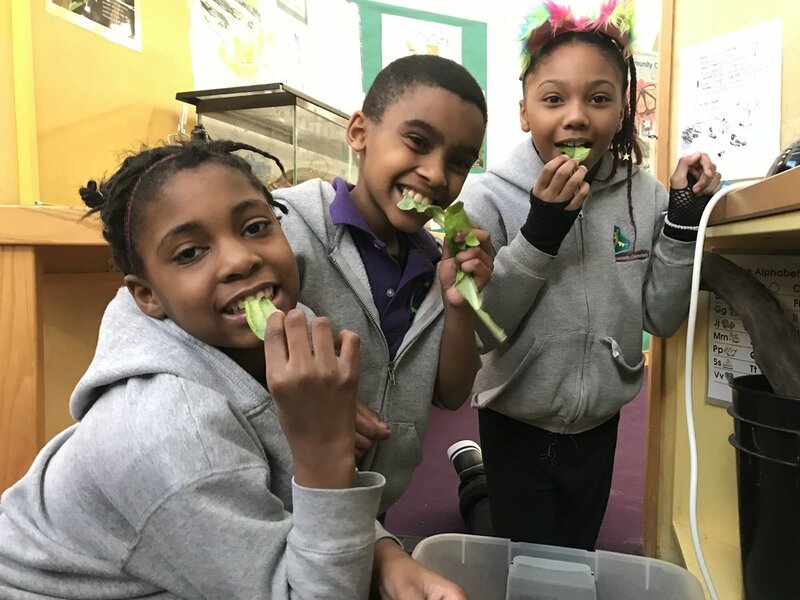 We like to celebrate the creation of a food system with the students in our school programs, by participating in a fish fry at the end of each year. These Blue Tilapia fry are currently being raised by the youth apprentices and interns operating our UAL. We intend to sell them to local restaurants and individual consumers right around August, 2018 when they reach maturity. Our tilapia make extra tasty (and sustainable!) fish tacos incase you were wondering. Spark-Y’s mission of sustainability education and empowerment stretches beyond the youth in our programs. Every-other Thursday evening from 6 to 7pm we welcome the public to join us on a tour of the UAL. 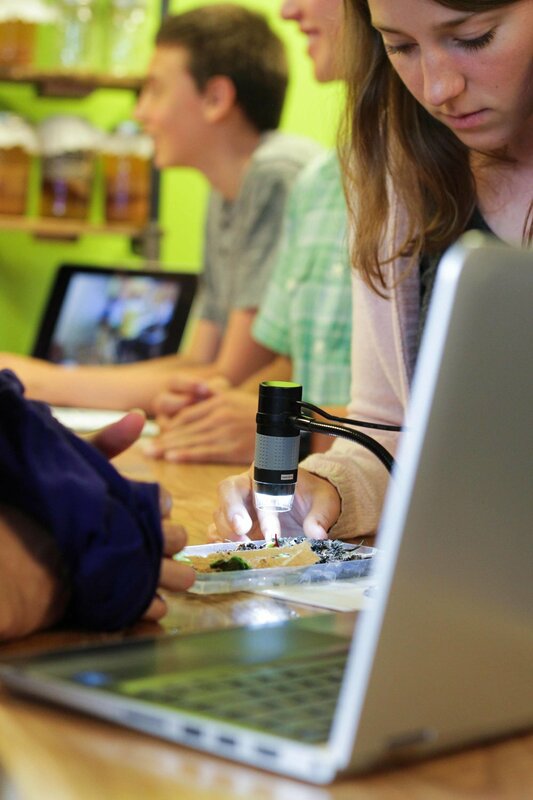 Tours only cost $10, and will go through each of the sustainable systems we utilize in the classroom as drivers of STEM education. You can sign up for a tour on Spark-Y’s Shop page. 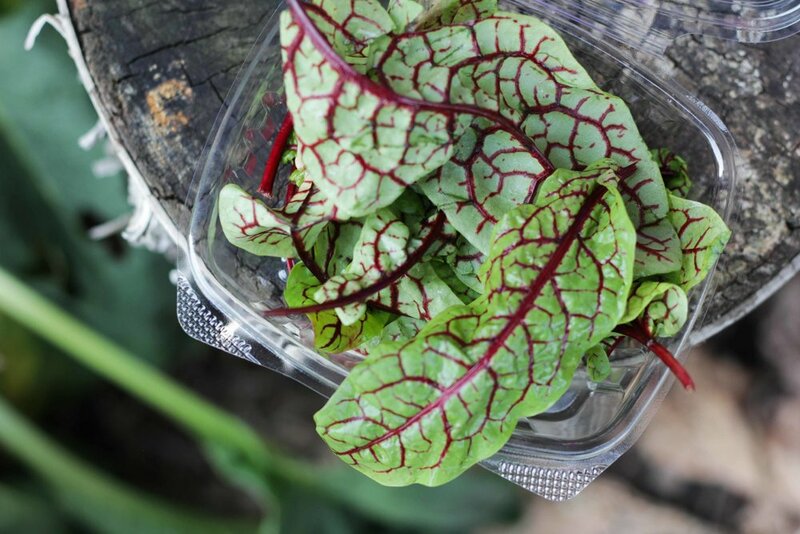 Side note: You can also stop by before the tour on Thursdays from 5-6pm to purchase fresh, youth-grown microgreens! This summer, Spark-Y will also be partnering with the Hennepin County Library to offer a series of STEM focused workshops. Keep an eye on our Facebook page, or sign up for our newsletter to learn more. Are you getting antsy for spring? We sure are! Get your pants from Spark-Y at our 2nd annual Spring Plant Sale taking place May 5th, 2018. All your veggies, flowers, herbs, and even native plants will be available! We will also be offering mushroom log demonstrations, UAL tours, and activities for the kiddos throughout the day. Sign up for our newsletter at Spark-Y.org to receive a pre-order form for the 2018 plant sale. Come on a tour - Offered every-other Thursday 6-7pm. 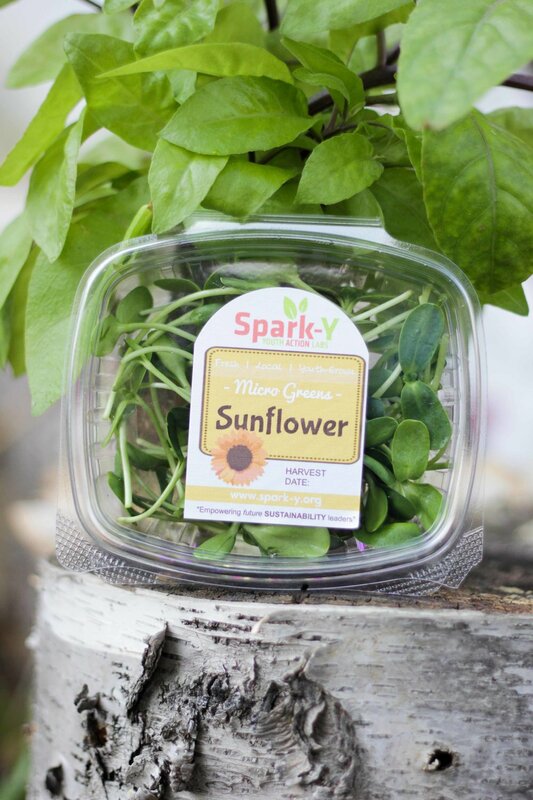 Purchase microgreens @ Spark-Y, 5-6pm on Thursdays. Come to our plant sale on May 5th. Purchase a mushroom log, T-shirt, fanny pack, SCOBY, or vermicompost bin at Spark-Y.org, or on Thursdays 5-6pm. The following post was written by Michelle Chmura, Spark-Y Education Facilitator, on her experience at the CONvergence Convention. Spark-Y had the opportunity this year to participate in CONvergence, a four day geek-a-thon where fans of all kind come together to share their passions. With just three workshops for the weekend, over 150 people stepped through to learn about vermicomposting, mycology and Ohm’s law. Each workshop included take home goodies, home instructions and an interactive lesson. With vermicomposting, we spoke about our humble friend, the red wiggler worm, and how Mark Watney’s (from Andy Weir’s The Martian) version of composting doesn’t fit the bill with what we do on Earth. Each of the visitors for this panel left with a few worms and the knowledge to start and maintain their own vermicomposting bin. Spark-Y’s mini mycology lesson “Preparing for the Fungal Invasion” was a riot with guests, where Dylan lead them through the importance of keeping a clean space for growing fungi, and a lesson about the fungal family. 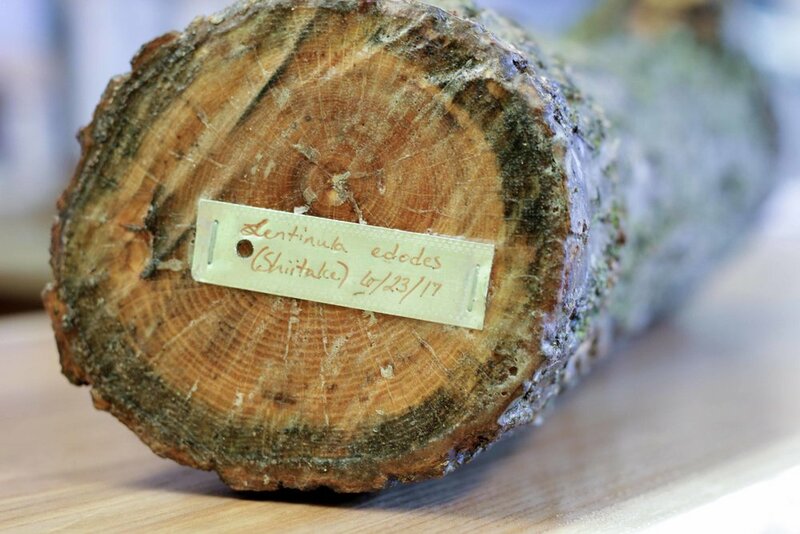 From athlete’s foot to shitake mushrooms, all fungi play an important role in our lives (even though some are tastier than others). Our last workshop at the end of the CON was about Ohm’s law. Visitors build a simple circuit with a color changing LED and showed their creativity by building origami creatures. While we provided instructions to build a rocket ship, many people incorporated the simple circuit in cranes, flowers and even dragons! It was amazing to see the creativity that everyone brought to this panel. If you didn’t catch us at CONvergence among the many other amazing panels going on (or you couldn’t get enough of us), Spark-Y offers full blown workshops that you can sign up for! 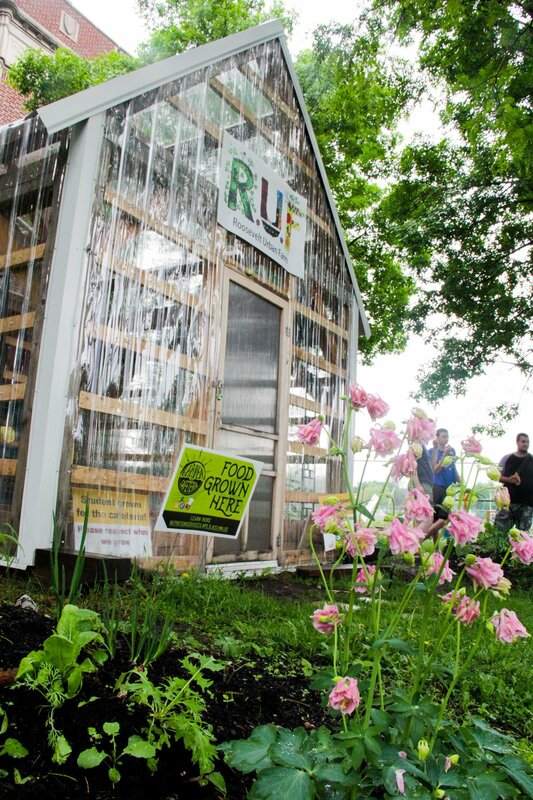 More details and information on the Urban Agriculture Lab and upcoming workshops can be found right here. The Spark-Y team has really hit the ground running in 2017! 1) We added a new member to our team. Michelle Chmura joined our Spark-Y family, accepting the position as Action Educator for Crossroads Elementary. 2) Minneapolis Mayor visited our Shark Tank day at Northeast Middle School and declared January 13th NEMS/Spark-Y Sustainability Day in the city of Minneapolis! Read about more about this exciting day here. 4) We kicked off a professional mentorship program with our amazing sponsor, Lube-Tech. 5) Summer internship applications are open, and we are already interviewing candidates! Learn more about our annual summer internship here. 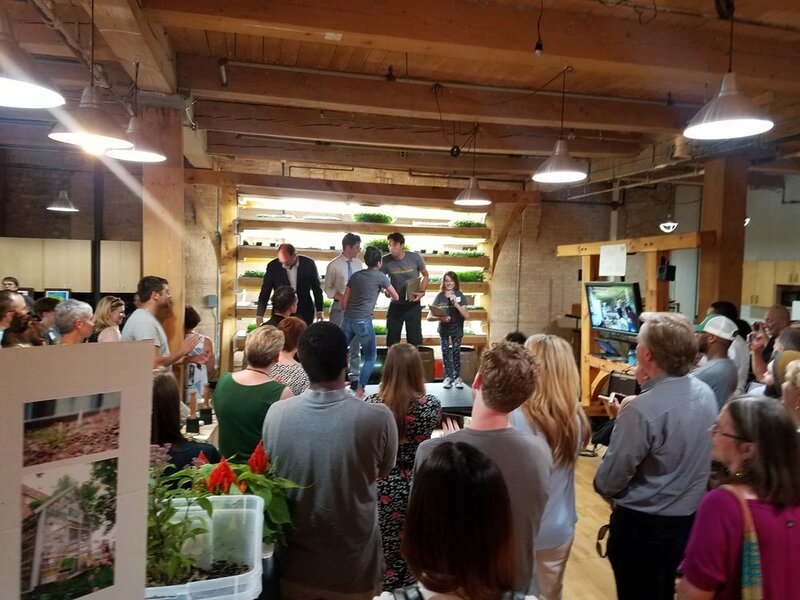 6) Students at the Integrated Arts Academy made a pitch to funders from their school districts, proposing their designs for a bigger aquaponics system. 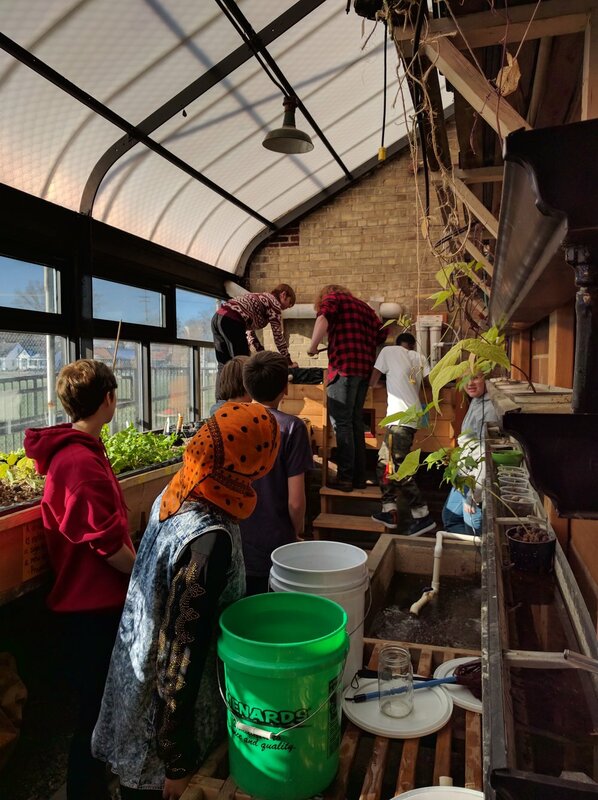 7) Our Operations Team started koi breeding at the Urban Ag Lab, an exciting potential for revenue raising to bolster support for school programming. 8) Our Mushroom lab has had an overhaul: we are growing at the Urban Ag Lab and teaching workshops. Watch our facebook page for upcoming events! 9) The DIY Bio Lab is expanding into new topics, supplying our educators with new classroom kits and science learning. 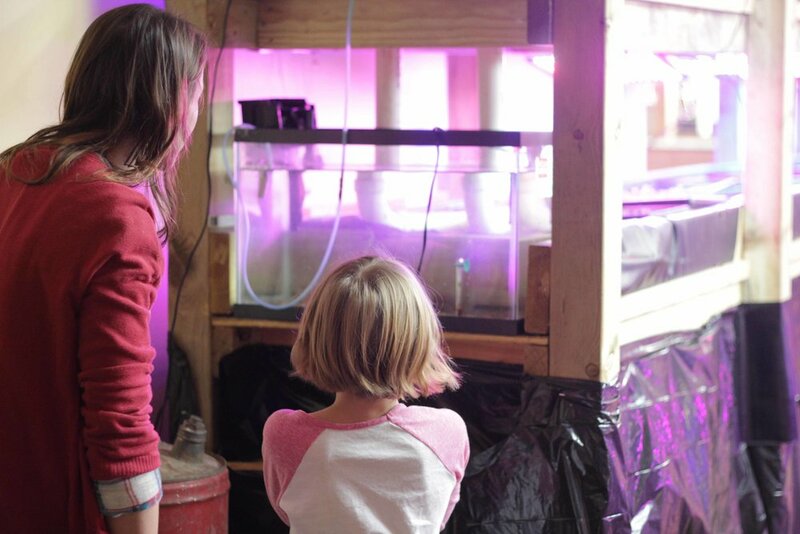 You can learn more about DIY Bio on the Urban Ag Lab page, here. 10) Our Board of Directors is launching an Innovation Committee, aimed at pushing Spark-Y into frontiers of cutting-edge projects. 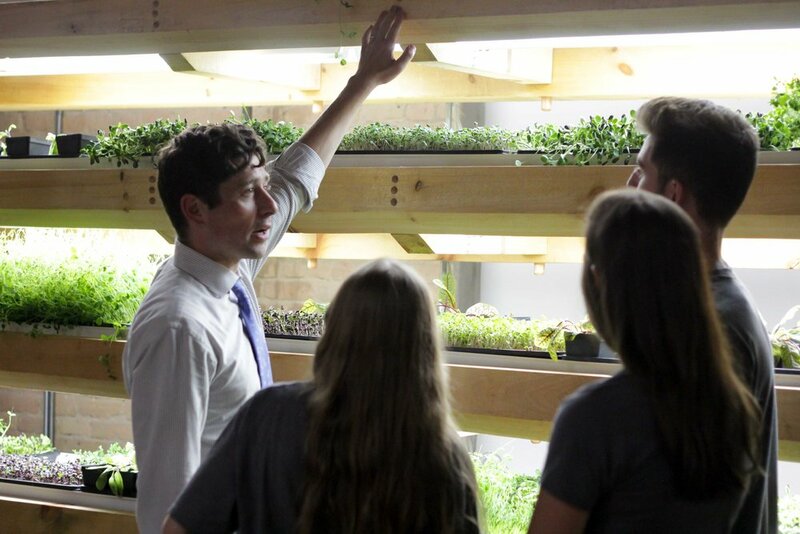 11) Edison High School launched an impressive aquaponics system. 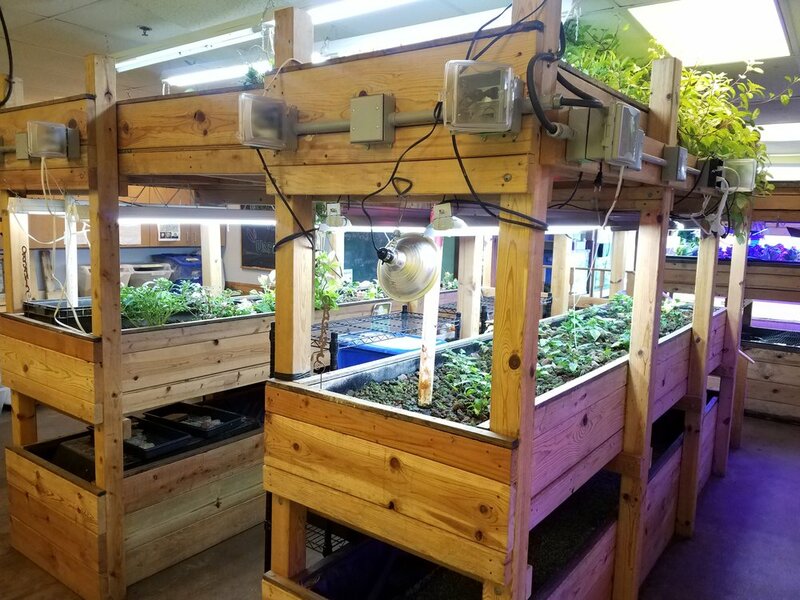 The largest school aquaponics system in the state, maybe even the WORLD! 12) Spark-Y Founder, Mary Helen Franze, was a key speaker at the Eide Bailly Resourcefulness Event. 13) Our Lab Director, Destiny Zeibol, and Program Director, Rhiannon Dalrymple, led an arduino workshop for professional teacher development at Crossroads Elementary. Teachers were inspired and educated on the use of arduinos in classrooms. 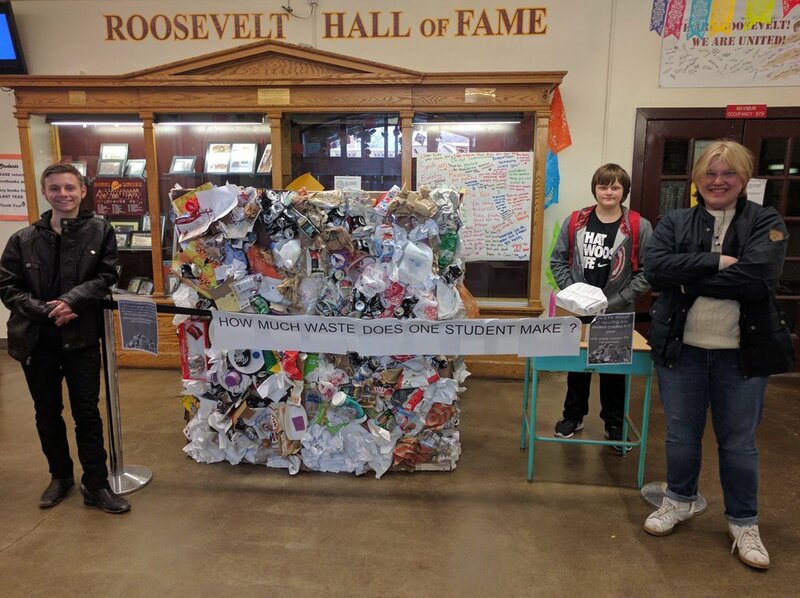 14) Roosevelt Urban Farm Squad have overhauled the waste system at their school, and are leading a student-driven recycling awareness and collection program! 15) Our classes at Bright Water Montessori have put together two vermicomposting bins which are aimed at helping the school use their food waste as a resource. 16 ) Spring is just around the corner so our students are busy working on garden plans, raising seedlings, and the Spark-Y spring plant sale! Be sure to friend us on Facebook for plant sale announcements. 17) We are planning an incredible FUNdraiser - the Spark-Y Urban Adventure Race! August 5th will be an action-packed, fun-filled day in Uptown, Minneapolis. Proceeds will go right back into making 2017 the best year yet. Learn more here. Here's to a great kick-off in 2017!